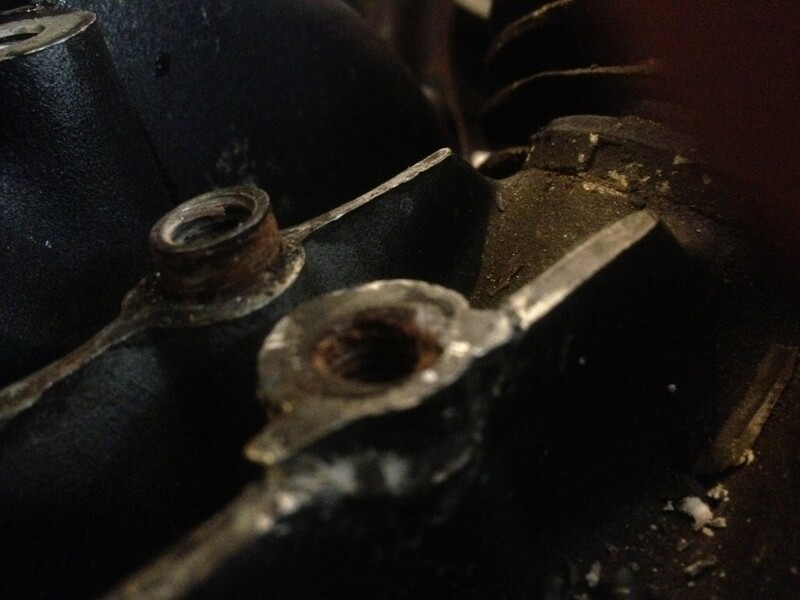 Jake Rivera contacted me with some excellent photos showing some pretty bad damage to a crankcase from a loose generator bracket. 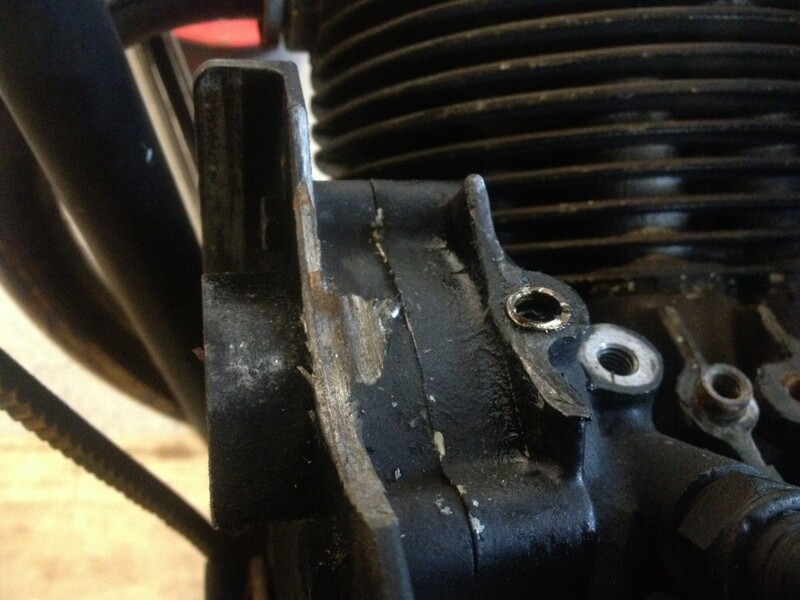 Crankcase damage due to a loose generator bracket, as found on Moto Guzzi V700, V7 Special, Ambassador, 850 GT, 850 GT California, Eldorado, and 850 California Police motorcycles. Photo courtesy of Jake Rivera. It looks like someone installed an insert in the front alignment hole. As long as it is in there good and tight, I would just clean up the surface so it was nice and smooth (looks jagged now). For the front mount, I would cut off the insert and reflatten the top so it was level and smooth. This assumes the insert is nice and strong down in there. I would not drill the bracket to fit the insert. For the rear mount, I would remove the existing piece, clean it up very well AND clean up the area where it needs to be fit very well. Then I would have a welder patch it back into place. 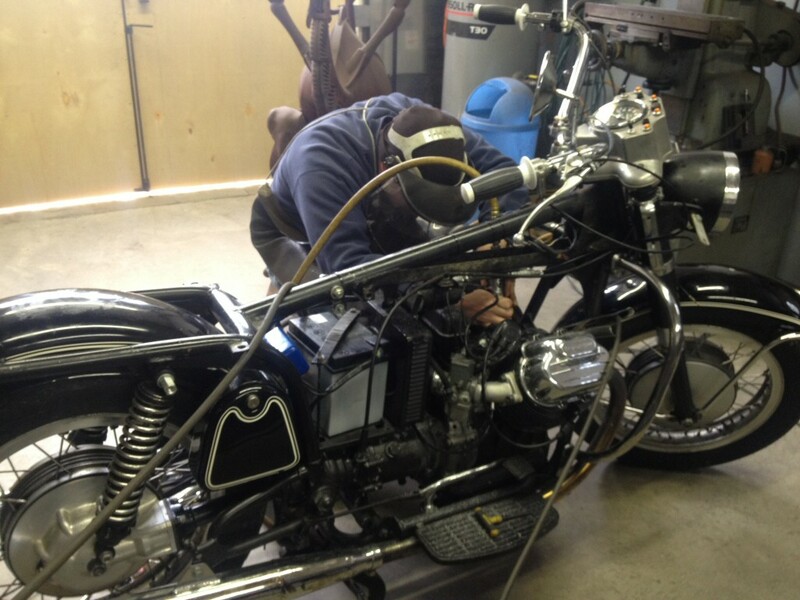 This isn't going to be a fun job for a welder and you need someone who knows how to work around dirty metal. JB Weld is not going to hold anything. 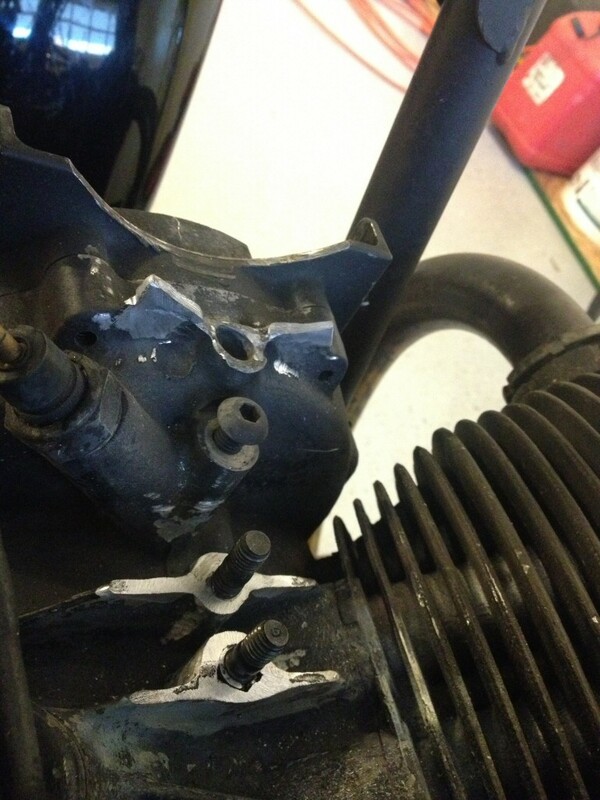 I would clean up with the front area where the generator leaned down and rubbed all over the timing chest cover. Just a few minutes with a light file and some sandpaper will get it looking okay again. When you get the new base, I would absolutely add the additional bracket back to the distributor. I do this on all brackets and it makes a huge difference. Of course, I would fit studs instead of bolts, etc. 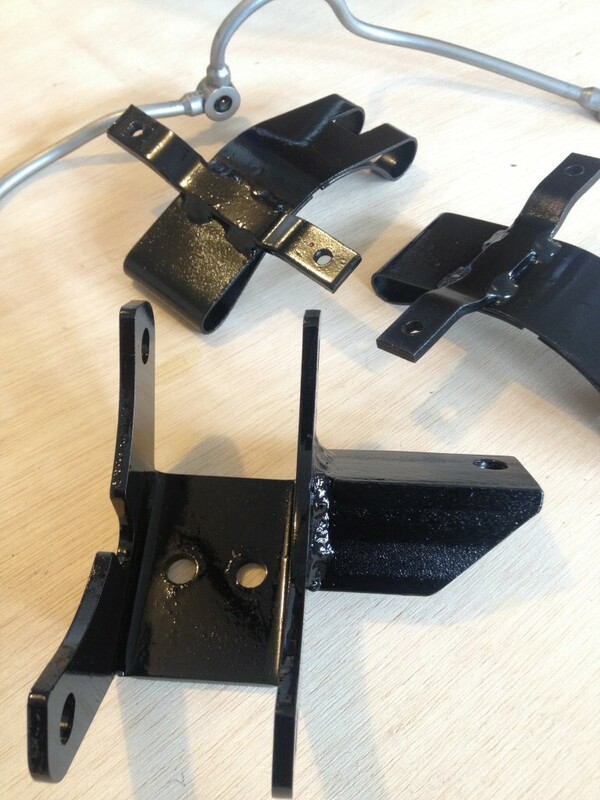 when fitting the new bracket. 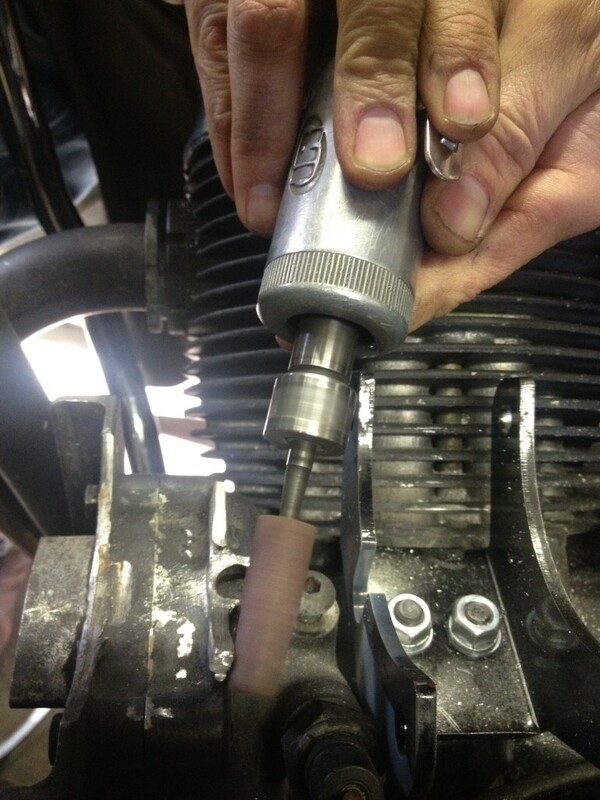 I would shim the front of the generator between the top of the crankcase and the generator (at the alignment dowel). There will be a space there, especially with the new thicker bracket, and I think it needs to be supported. Some have fit a curved aluminum piece with a hole for the dowel pin (I've done that in the past). Other have tried really dense rubber (I think I'll try that next time). Okay, that would be my approach. Most of this isn't terrible work and the only challenging part is welding on the block itself. 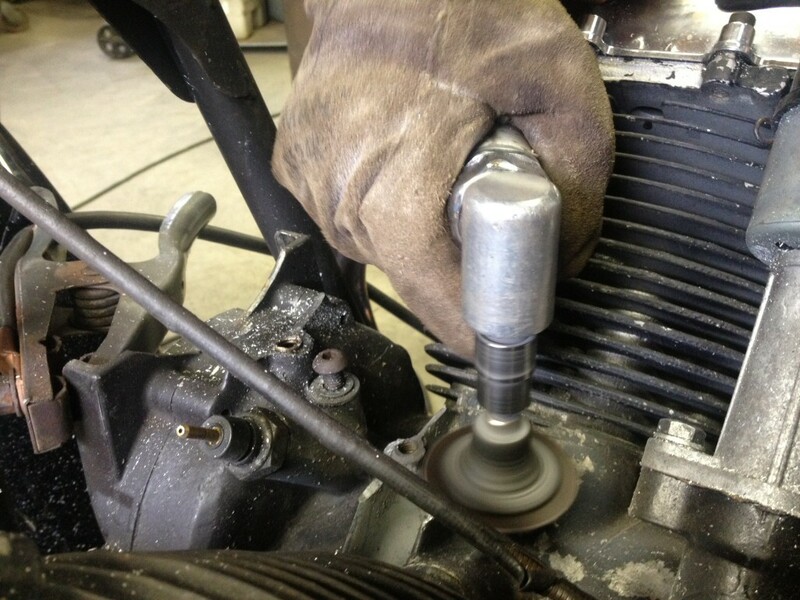 As an alternative, if you are stripping the engine down, you could simply replace the crankcase. 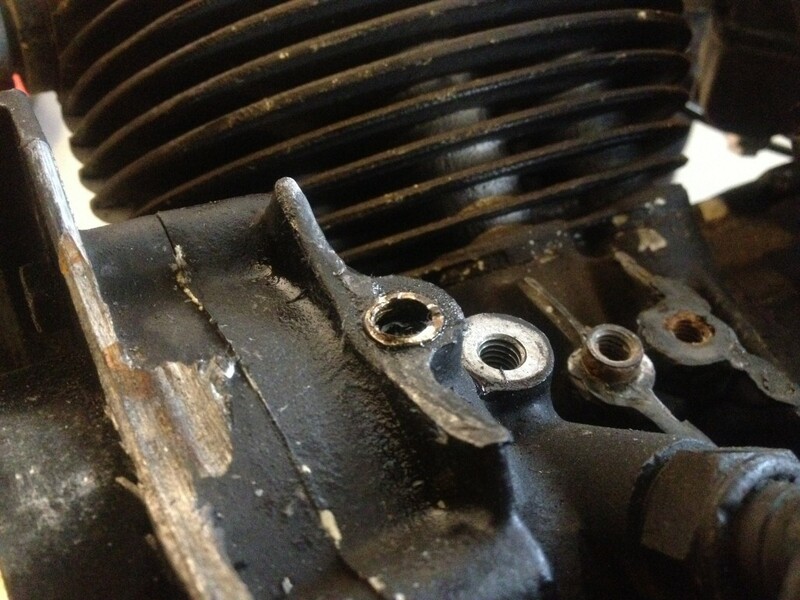 A good welder likely isn't going to want to tackle this job with the engine in the frame. 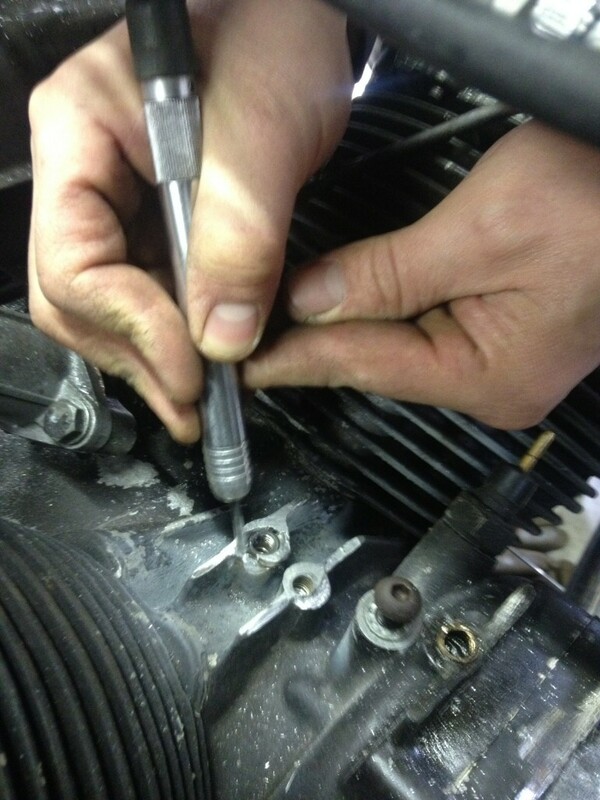 The JB Welded hole will make him cringe, super tough to get all of it out and the metal clean enough to weld. The inserts in the other holes make me cringe and I would remove them if at all possible and have the holes filled with weld, drilled and the front one tapped. It's just not the rear hole that needs to be filled, drilled and tapped, but the ribs off to either side are worn away and will need to be built up wih weld and machined down also. The machinist will want a bare case to do that. 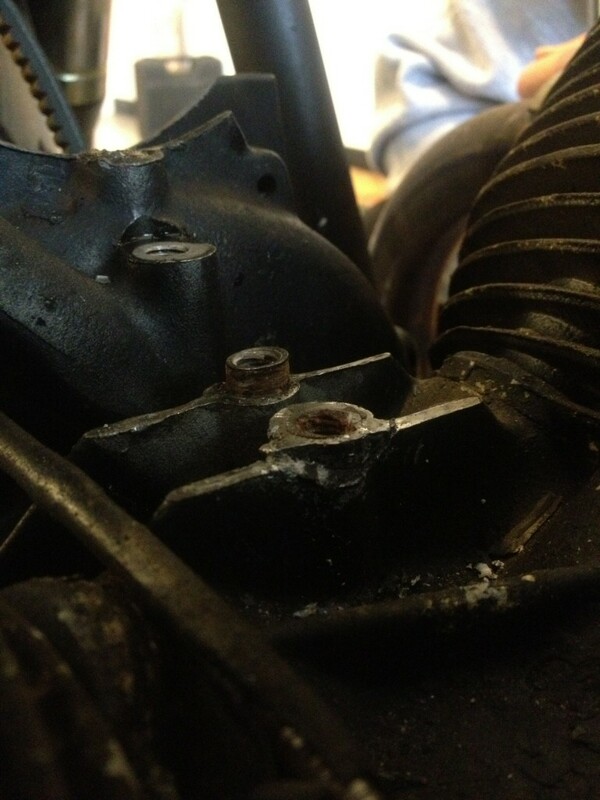 Jake sent me some photos of the repair he had performed by his friend, Karl Saar. 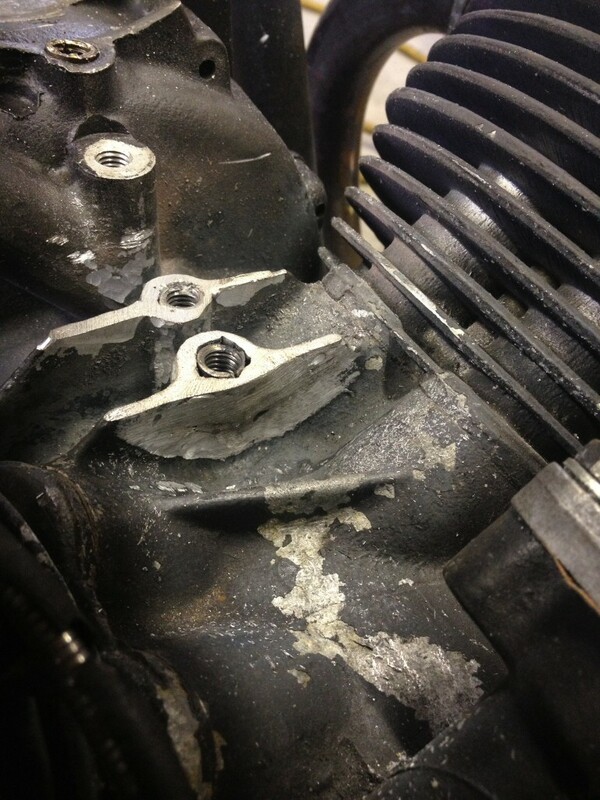 Karl Saar's repair to a damaged crankcase on Moto Guzzi V700, V7 Special, Ambassador, 850 GT, 850 GT California, Eldorado, and 850 California Police motorcycles.